THE GENUINE TRADITIONAL CORNISH PASTY. 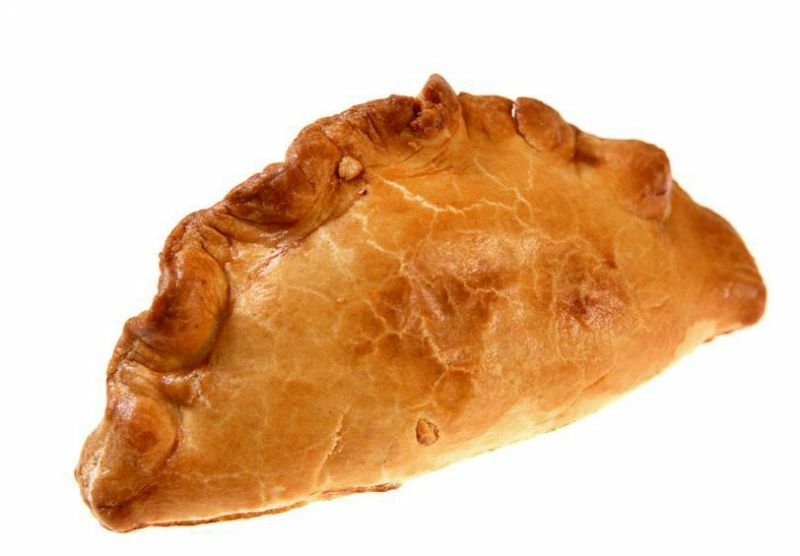 Quote Reply Topic: THE GENUINE TRADITIONAL CORNISH PASTY. Good morning everyone, hope you are all fine. As usual, it’s teeming down outsside here, but I’m nice and comfy sitting in the conservatory, with a Latte and a lovely Banbury cake. (I will post a recipe sometime). Well, thinking again about traditional English/Scottish/Welsh and Northern Irish recipes that make up the UK, also, a recipe that I have tried and tested many times, I thought of a good, safe one that I would be confident enough to offer any true Cornishman or woman here who regard this as their world famous belonging to them alone recipe. I’m talking of course about the great “Genuine Cornish Pasty” . The pasty was a Shortcrust pastry encased meal of Swede, Onion and Potato. Sometimes, the pasty contained this savoury filling half way through and then the other half was filled with a dessert, something like stewed apples or plums (talk about having the best of both worlds!) LOL. 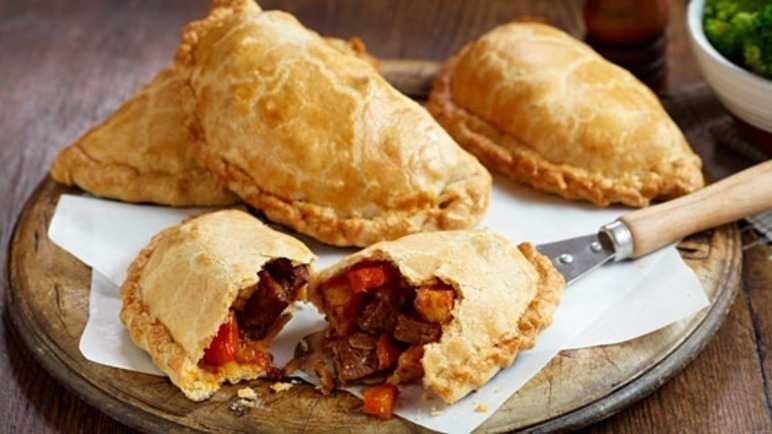 It was only in the 19th century that the dessert section of it ceased and was replaced as a whole Cornish Pasty containing Swede, onion and potato with the addition of succulent meat as Skirt Steak, (although many eateries here sell pasties, if it has carrot in them, they are not genuine Cornish Pasties which always contain only the four ingredients mentioned above. So there you have it, you now know exactly the same as most English people know about the famous genuine Cornish Pasty. Here then is the recipe below for this everyone’s favourite, delicious snack which, just like our well-loved popular sausage rolls, can easily have you hooked once you try them. I seem to recall I filched this recipe some time ago when my mobile phone resembled a brick, and televisions still had hump backs. But have checked and recipe has never changed. Confession Time: when I make these, (and you all know now how rubbish I am at making pastry) my super Sis-in-Law, who only lives 3 doors away, always makes the pastry ready for me. But for you clever cooks out there can make your own! LOL. Makes 4 Pasties. Cooking Time: 1 hour & 50 minutes. Preheat oven to 400F / 200C / 180C Fan / Gas 6. (Thank goodness I have cups, pounds & ounces, grams, measuring jugs and measuring spoons, otherwise I would at my age, go loopy trying to convert recipes. Salt and if possible, freshly ground black Pepper. After making your pastry and chilling it in clingfilm in the fridge for 20 minutes or so, Roll it out onto a lightly floured surface to make 4 round circles (use a plate to trim the pastry into neat circles) each circle measuring about 20cm (8 inches). In a mixing bowl, combine the meat and vegetables and be generous with the seasoning of Salt and especially the Black Pepper. (A pasty would taste very bland without it’s known peppery taste). Now, put the meat and vegetable filling down the centre of each circle leaving a small margin at each end. With each circle, brush all around the edges with the beaten egg. Then bring the two sides up to meet at the top and crimp together with your fingers. (see pics). Make sure it is completely sealed. Now place the 4 pasties onto a baking tray and brush all over with the remaining beaten Egg. Pasties are delicious served Hot or Warm. (Not really suitable for microwaving when reheating. It makes the pastry go soft. Better to pop Cold pasties into a preheated oven 350F/180C/160Fan/Gas 4 for exactly 25 minutes to reheat them. Here it is a favourite with most men served with Chips (french fries) and baked beans. One of our manual workers favourite cafe snacks. Again, please don’t blame me if you become hooked on these tasty savouries. Enjoy if you try this recipe. I forgot to say, with my bloomin oven which has a mind of its own, I put the pasties in first for 20 minutes at 200C before turning it down to 180C and cooking for another 40 minutes. I then turn it down to 160C to continue cooking until it turns the colour I am looking for and I am sure the filling inside is lovely and soft and tender. For us 'Mericans, and others who may not know it, Swedes are what the British call Rutabaga. I'm trying to think of what the flavor profile would be, and the best I can come up with is turnip with the bitterness removed, and a hint of sweet carrot. FWIW, there are 28 1/2 grams in an ounce. So, to convert easily, just divide whatever by 28.5. For instance, 300 grams of skirt steak would be 10 1/2 ounces, more or less. I've wondered what rutabagas taste like. Hi Melissa, rutabaga (or swede as we Brits know it) has a mildish taste and does require a little more seasoning than is usual to bring out the flavour. Here you can usually buy it in any supermarket as a large, small or even half a swede. It is especially popular here when it is paired with carrots and mashed together, (carrot and swede mash). It gives the carrot mash a unique taste. They even sell carrot and swede mash in packets as a convenience food in the supermarkets for those who do not like the ordeal of peeling a rutabaga (swede) which is one dangerous mission, believe me!! Many a person's fingers have been a casualty of this chore, the skin is so tough and the rutabaga itself is a cursed thing to try and slice. But.... it is a tasty little vegetable when cooked, and worth the effort. (especially as I always get He who must obey to do the hard work and I just cube it ready for putting into the steamer.) lol. All I know is that a Cornish Pastie has to contain Swede to give it that lovely taste. Swede does take a little longer to cook than other root vegetables. It's certainly one tough little cookie is Swede! When I was a kid, Mum and Dad being Irish, one of the regular meals made for us, was lovely lean slices of bacon from a Back Bacon joint, accompanied by potatoes boiled in their skins, Spring Greens or Savoy Cabbsge and sliced Swede. It was really nice. Rutabaga is one of my favorite root vegetables. It wouldn't be Thanksgiving without a steaming pile of mashed rutabagas. They are a pain to prepare though. Peeling isn't bad. Not as easy as a potato. Cutting the things into smaller chunks is another story. Slicing through a large one can be difficult so stick to smaller ones. The cube size required for pasties is small. Small rutabagas and small cuts are much easier to deal with. As the divine Julia once said in another context, Melissa, don't be afraid. All it takes is a sharp knife and some pressure. True, they're tougher than other root vegetables. And most of the ones sold in our stores have a wax coating. Just treat it as part of the skin, as you peel it. Once it's peeled, the first cut is the most difficult. What you want to do is divide it in half, so that you'll have two flat surfaces that create a stable platform. Then proceed from there in the normal manner; that is, first cut planks, then batons, then dice. Yes, they're harder to prep than other root veggies. But I think others are, perhaps, overstating the case. And, once you've tried a rutabaga mash---either alone or in combination with other roots like potatoes and carrots---you'll feel the work was worthwhile. FWIW, anyone who says they've never cut or burned themselves in the kitchen---and continue to do so no matter how experienced they are---is lying through their teeth. 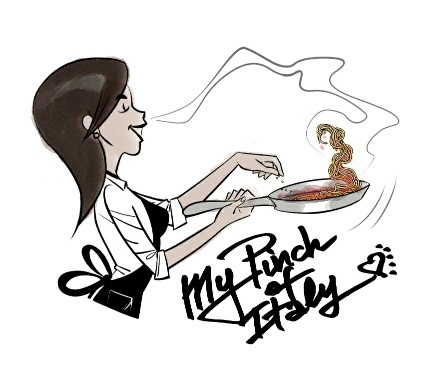 It's just part of the cooking experience. The odds of you cutting yourself with a rutabaga are no higher than when cutting anything else. Just take your time, and stay focused on the task. And remember: The most dangerous thing in the kitchen is a dull knife. Thanks for this Rose, I've always heard of Cornish pasties, but never really knew what they were. looks like a great 'on the go' meal as the miners must have surely known. Count me down as another person who's never had a swede/rutabaga, in fact I'm not even sure I've ever seen one in the grocery store. I'll have to look closer next time I guess. I'll have to try this recipe if I can find one. Butte, Montana is famous for its pasties, which the miners would carry down into the tunnels with them; very similar to these. I will try the Cornish version - and thank you for posting! Ok, I bought a swede/rutabaga. I figure that if I can manage to peel it without slicing myself up, I can just plunk it into the Instant Pot and pressure-cook it until it gets soft. Melissa, here's a trick I teach people for peeling butternuts and similar squashes that might help you with the rutabaga. Before peeling, cut the ball in half from stem to blossom end. Then slice half into the widths you want to work with; say, half inch or so. Then peel those planks. It's much easier, because you don't have to cope with changing angles and the like. Once peeled, cut each plant into strips (much safer when you have that large flat against the work surface), and then into cubes. Voila! This is the same standard procedure for cubing/dicing anything: planks, batons, cubes, with the exception that you peel after cutting the planks. There are some exceptions, which you can learn as you develop your knife skills. The thing to keep in mind is that if you first create a flat surface, the rest comes relatively easy. More to the point, it lets you make your cuts more safely. The other thing to remember is to forget what you see the celebrity chefs doing. Your job is to do it right, not do it fast. Speed will come with time-in-grade. How'd that rutabaga turn out, Melissa. Thanks to you, I was inspired to make some. Did a simple mash: diced the rutabaga, and cooked until tender. Then used a potato masher to mash the rutabaga with some butter, salt, pepper, ginger, and a hint of maple syrup. It still needed some brightening up, so I added a squeeze of lemon juice. Perfecto! Haven't had a chance to cook it yet. I hear they keep well? Glad yours came out well!